Bead, antique silver-plated pewter (tin-based alloy), 11x9mm double-sided butterfly, 5mm hole. Sold individually. Item Number: H20-A1394MB Have a question about this item? 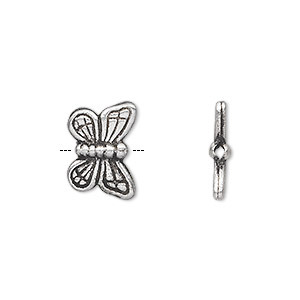 Create a customized design with this antique silver-plated pewter (tin-based alloy) bead. 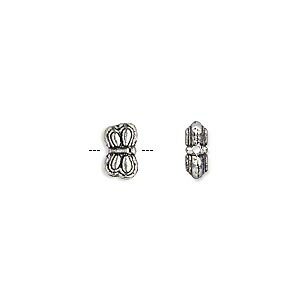 With a 5mm hole, this three-dimensional large-hole bead is ideal for stringing onto thick cord, multiple wires and caprice or Dione® Easy-On Chain. 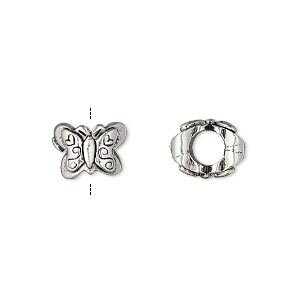 Bead, antique silver-plated pewter (tin-based alloy), 12x9mm double-sided butterfly, 5mm hole. Sold individually. 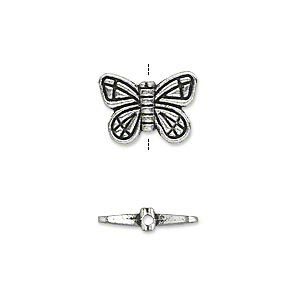 Bead, antique silver-plated "pewter" (zinc-based alloy), 11x9mm double-sided butterfly. Sold per pkg of 20. 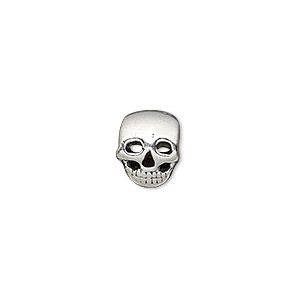 Bead, antique silver-plated pewter (tin-based alloy), 11x9mm double-sided skull, 5mm hole. Sold individually. 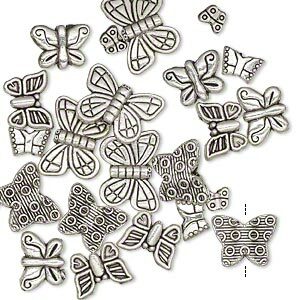 Bead, antique silver-plated "pewter" (zinc-based alloy), 5x4mm-15x11mm assorted double-sided butterfly. Sold per pkg of 24. 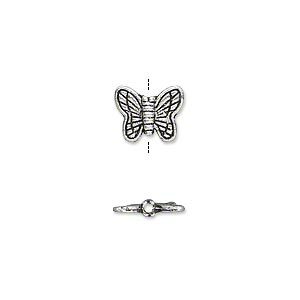 Bead, antique silver-plated "pewter" (zinc-based alloy), 7x5mm double-sided butterfly. Sold per pkg of 100. 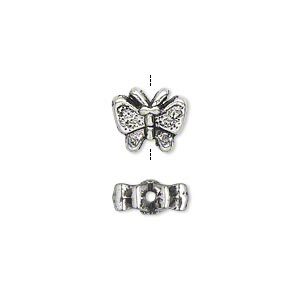 Bead, antique silver-plated "pewter" (zinc-based alloy), 10x7mm double-sided butterfly. Sold per pkg of 50. 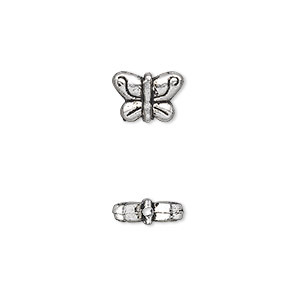 Bead, antique silver-plated "pewter" (zinc-based alloy), 8x5mm double-sided butterfly. Sold per pkg of 50.